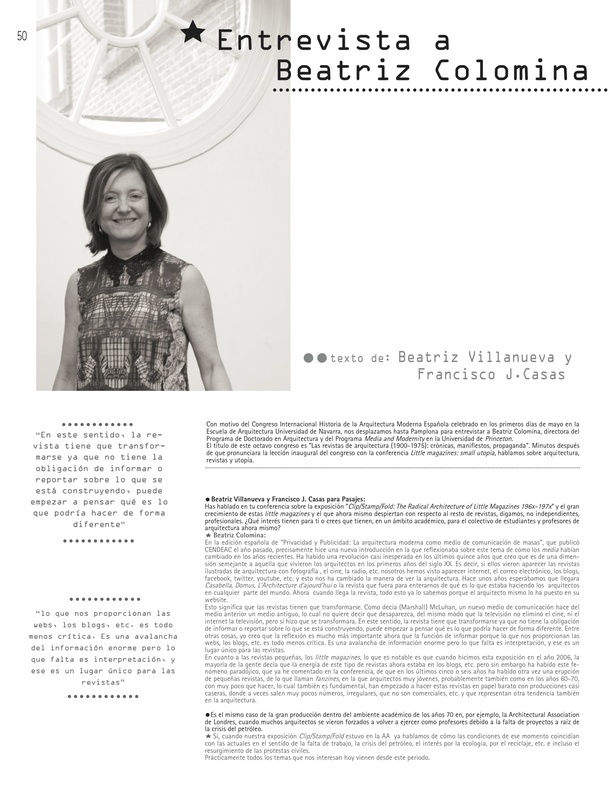 Since 2001 we have collaborated periodically in publications specialized in architecture and design, writing articles, interviews and essays. In 2009 we started our career as bloggers by winning a competition to be correspondents for. Herein there is a selection.In parallel we develop our doctoral thesis. The prior investigations has led us to develop articles and essays that have been selected for many national and international congresses.